A friendly and inquisitive young EWOK who loves adventure. Contribute pictures, update details or suggest corrections for Wicket W. Warrick. 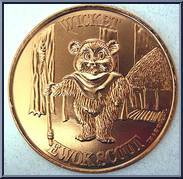 Write a review about Wicket W. Warrick.